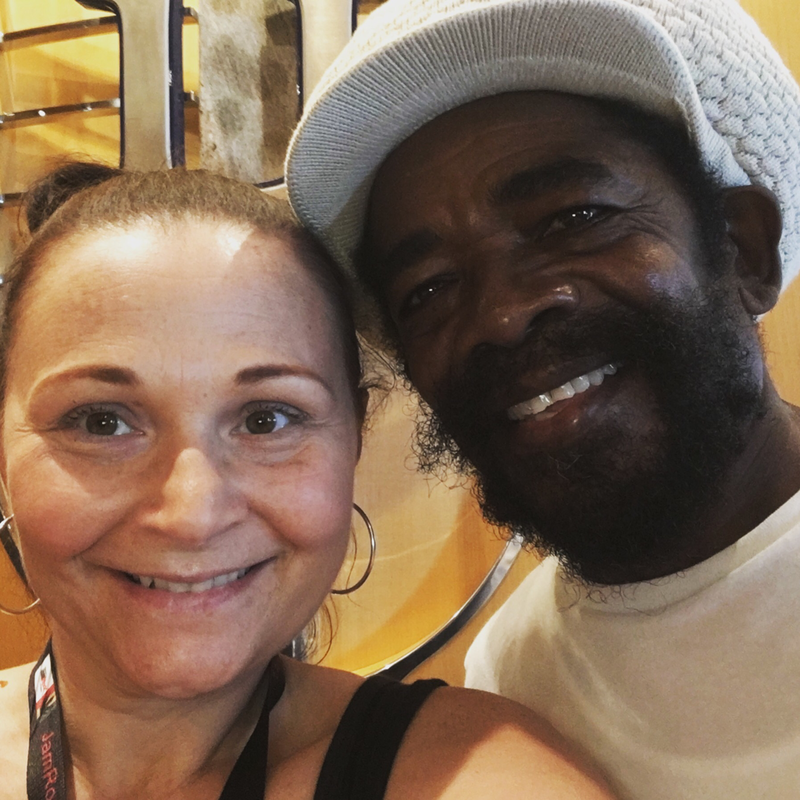 Greetings to one and all,fresh of the Jamrock Reggae Cruise for 2017 and while there were so many amazing experiences,it was veteran artist Cocoa Tea that stole the show,taking performing to another level. Born in the late 1950’s in Rocky Point Clarendon Jamaica, Cocoa Tea began to make waves in the Jamaican music scene in the mid 1980’s before breaking into the international scene in the early 1990’s. I first heard the sweet sounds of Cocoa Tea in 1991 with the release of Rikers Island. His captivating riddims and sweet soulful voice was just captivating,and needless to say I have been a fan ever since,seeing him perform live was definitely a dream come true. His performance being the first of the crusie was felt with much anticipation ,and he did not disappoint. Performing a vast amount of hits from over the decades he had the crowd dancing and singing along in harmony. His energetic stage presence and the quality and style in which he performed was so polished and perfect. Performing hit after hit I was in awe from beginning to end,but when he performed my favourite track,Good Life,it had dawned on me that this was something really special to experience. It was the consensus on board the ship that his performance was on another level and he had set the bar so high it would truly be hard for anyone to beat it. PURE REGGAE MAGIC! I also had the pleasure of meeting Cocoa Tea while on the cruise. He was absolutely adorable,so very humble,happy to have a quick chat and take a photo, Finally seeing one of my favourite artists perform was one thing,but having the opportunity to meet him was pretty amazing. That’s the fun thing about the cruise,you just never know who you will literally bump into. 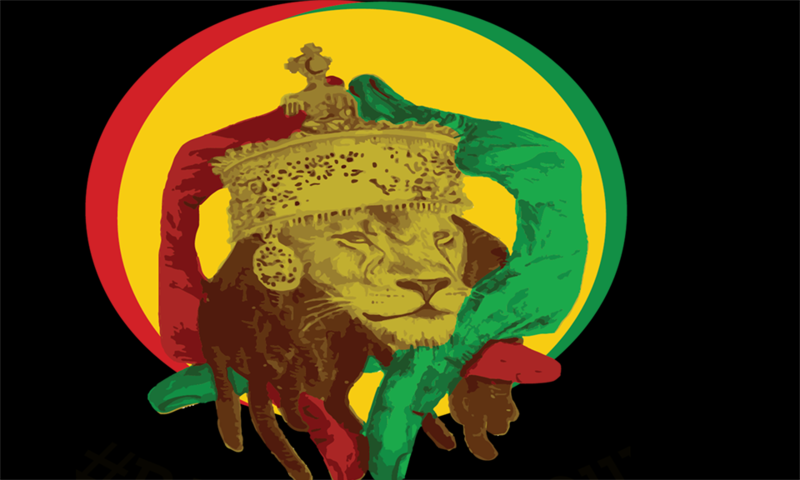 Bless up to all my Bredrens and Sistrens who have gathered humbly to check out some conscious thoughts for the day. Through reggae music, we unite near and far and understand the message in our hearts as we continue to open our minds and keep our eyes woke. I have often wondered how many people have become distracted by all the negativity that surrounds us daily as we continue to see so much heartache on our televisions. Don’t let the foolish acts of others interfere with your Livity and continue to spread love and positivity. Keep defueling hate and ignorance as you walk your path of righteousness, as only Jah knows your true understanding of love and purpose. 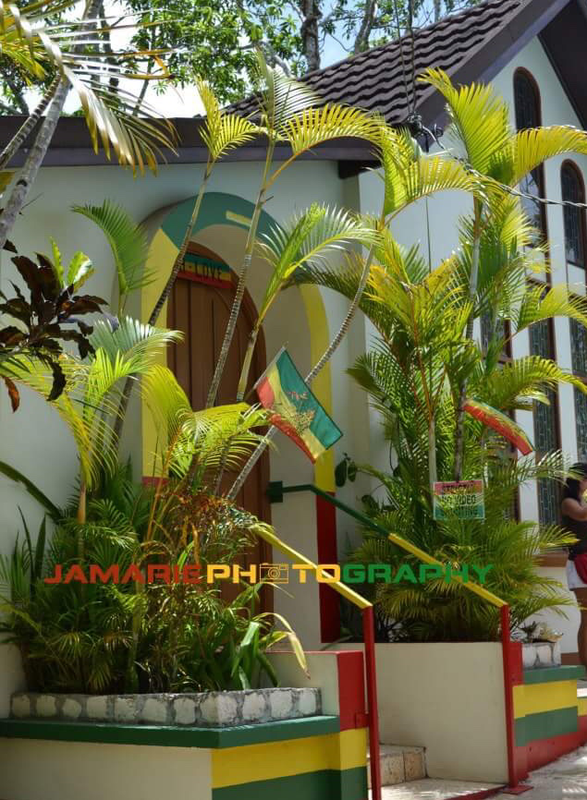 Like most reggae lovers, for many years I had dreamt of heading to the little island nation of Jamaica to see and experience all the many things that Bob Marley sung about and to immerse myself in the culture I had always read about. 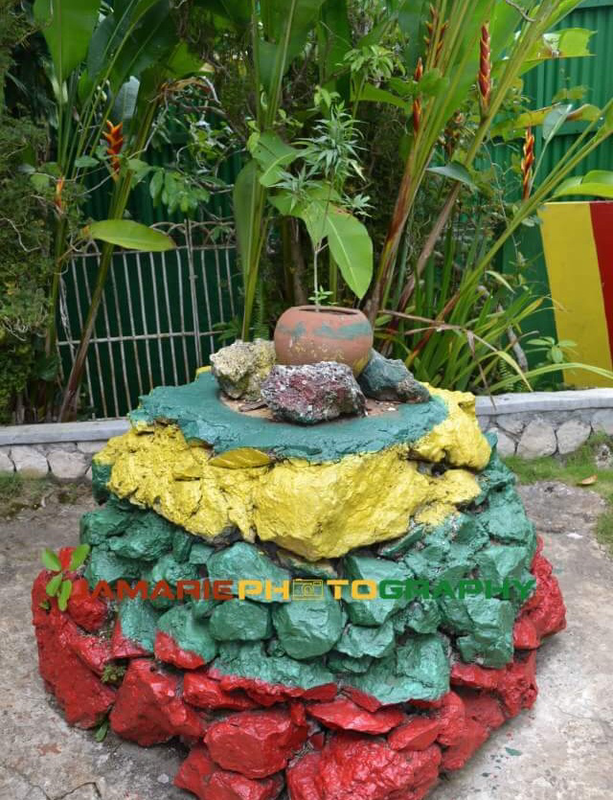 Jamaican is such a little island,but it’s so full of culture and adventure,and no trip to Jamaica would be complete without making the pilgrimage to the birth & resting place of the king of reggae! The journey from Montego Bay was around 2hrs on bumpy roads with many potholes,and the occasional goat or two running across the road causing havoc ,but what the road conditions lacked the scenery more then made up for. The beautiful green scenery of Cockpit Country on the winding roads to the Village of Nine Miles coupled with informative and humorous commentary from our guide made for a memorable journey. The closer we got to Nine Miles the more you could feel the excitement building ,for every reggae fan this journey is a right of passage. An abundance of things to explore greets your senses once you are inside the compound, from gallery’s, awards and memeorabilia, the one room shack on the top of the hill where Bob was born from humble beginnings ,then full circle to the tiny Chapel that houses the marble mausoleum where he was laid to rest with his guitar. Walking in to the chapel to pay your respects truly is spiritual journey,you can feel the magic in the air. Take your time as you circle the musoleum admiring all the gifts left by fans,soak up the atmosphere and feel the vibes. What could be more perfect then reasoning with a group of rastas while partaking in the sacrament of herb at the resting place of the Honourable Robert Nesta Marley? The power of reggae music! 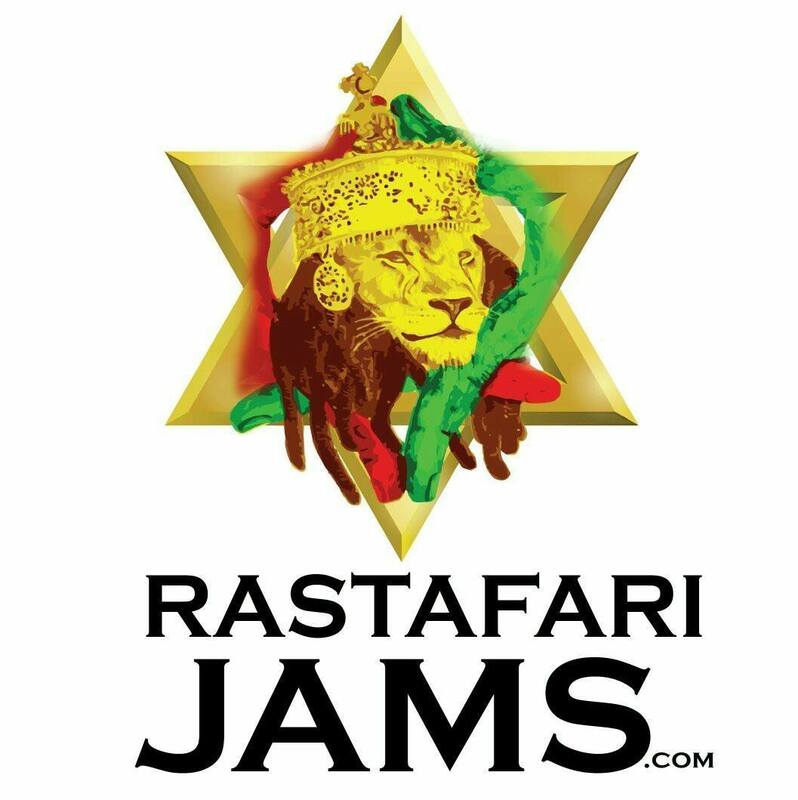 As the excitement builds for reggae fans worldwide for the upcoming voyage on the reggae ship of dreams(aka The Welcome to Jamrock Reggae Cruise) it poses the question,what is it about reggae music that is so special that it will draw the masses from thousands and thousands of miles away and from all corners of the globe? From the very first moment I was introduced to reggae as a teenager in the 90’s ,I couldn’t help but be captivated by the hypnotic rhythms and the messages contained in the lyrics of Bob Marley’s most celebrated songs. The impact it had on my being wasn’t something I could explain easily, it was something that I felt deep down inside.It was a feeling of joy,the way it uplifted my spirit and resonated with my heart,the way I couldn’t help dancing when the music started,the message of peace,love and humanity. It was the music that awakened ones soul. What it makes you feel inside,that’s what draws me to embark on a journey of over 17,000km and board a ship with 5,000 other like minded and passionate reggae lovers to experience ONE LOVE! To see the joy on everyone’s faces,to feel the positive vibrations from every person you meet,and feeling the unity that reggae music brings. Reggae music is a powerful genre of music,it has the ability to transcend the globe and bring people together in love and harmony, regardless of nationality,cultural backgrounds,language barriers and age,bringing messages of positivity to the world! 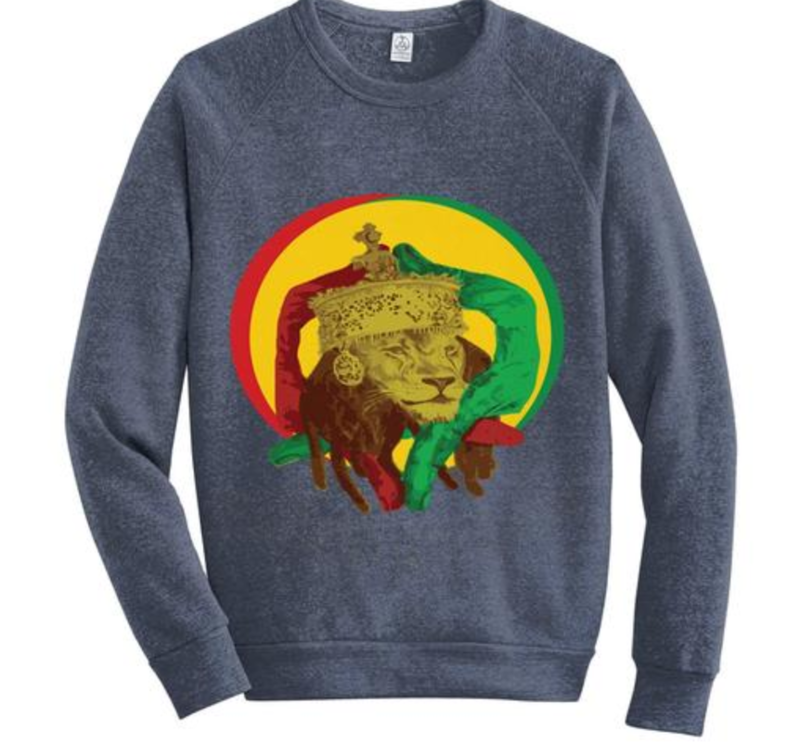 There is nothing quiet like being part of the global reggae community and what it represents. The amazing people it has brought into my life and the difference we can all make together,for me,this is what makes reggae music so special and powerful. Where ever your journey in life takes you,travel with PEACE,LOVE & UNITY in your heart. 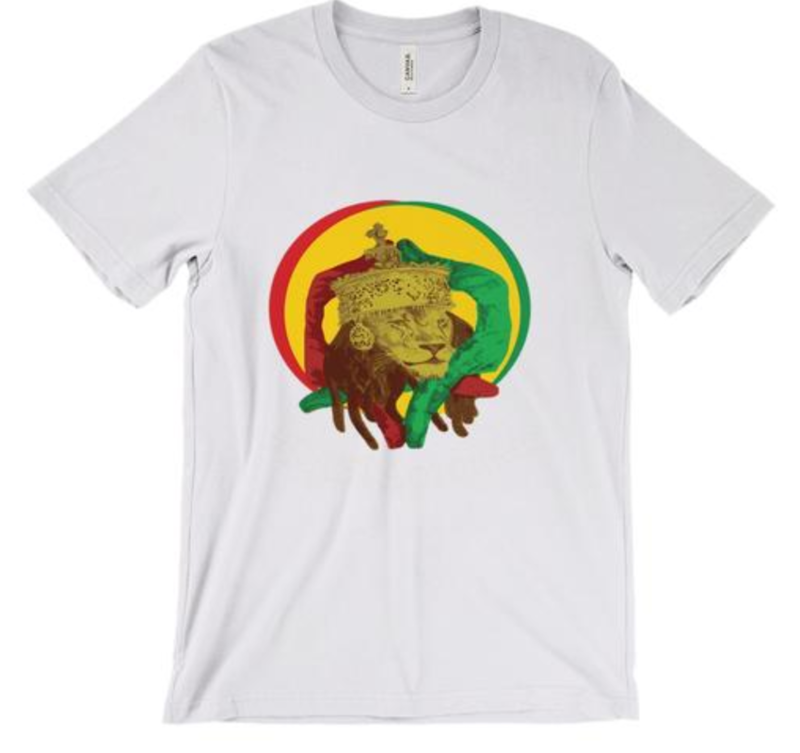 Rastafari JAMS is proud to announce the launch of the official Rastafari JAMS merchandise store. I&I greet you in the name of His Imperial Majesty, Emperor Haile Selassie I of Ethiopia! Rastafari LOVE and BLESSINGS unto all. In the words of the prophet Bob Marley, ONE LOVE! Listen 24/7 directly from your phone via our website, the TUNE IN app, or via iTunes Radio. Tell-A-Friend or 10 to tune in!